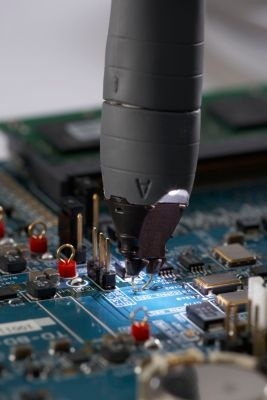 The N2750A InfiniiMode differential probe is a new generation of low-cost differential active probes compatible with Keysight InfiniiVision and Infiniium oscilloscopes’ AutoProbe interface. The N2750A InfiniiMode probe comes with new InfiniiMode operation modes. 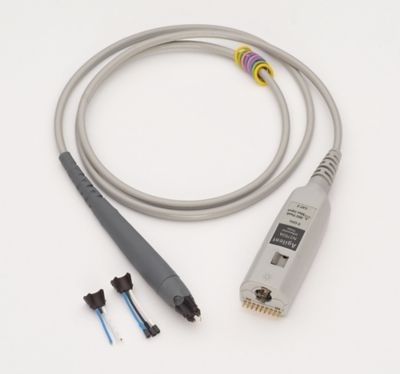 The InfiniiMode allows convenient measurements of differential, single-ended, and common mode signals with a single probe tip, without reconnecting the probe to change the connection. The N2750A probe’s InfiniiMode provides the following modes of operation. 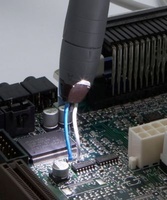 The N2750A Series differential probes provide quick and convenient access to various functions on the scope. You often need to control the scope while you hold a probe in your hand. With the quick action scope control feature built into the probe, you can turn the built-in headlight of the probe on and off, or control some frequently used scope functions such as RUN/STOP, auto scale, quick print, quick save, etc. with only a button press on the probe. Get control of your most needed function with a push of the quick action control button on the probe. The following scope func tions can be controlled with the quick action control button. 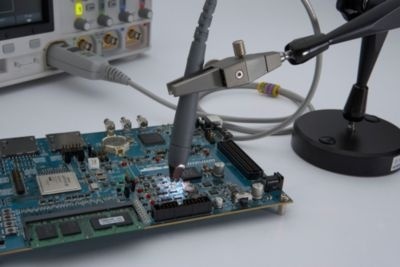 The probes integrate many of the features and characteristics needed for today’s general-purpose, high-speed differential probing – especially in digital system design, component design/characterization, and differential serial bus measurements. The N2750A Series differential probes offer 2:1 and 10:1 dual attenuation settings, allowing them to be used for a broad range of applications. Dual attenuation range is automatically configured depending on the size of the input signal. 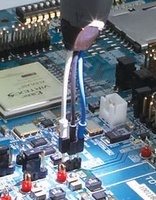 These differential probes have an input resistance of 200 kΩ (differential) or 100 kΩ (each input to ground) and an extremely low input capacitance of 700 fF to minimize circuit loading. This, accompanied with superior signal fidelity, makes these probes useful for most digital design and debug applications. And with their wide dynamic range (10 Vpp at 10:1) and offset range (±15 V), these probes can be used in a wide variety of analog signal measurements as well.